Dental implants are one of the most common procedures performed by dentists, where they’re used to anchor a new crown, a bridge, or dentures. The professional staff at the Dental Center of Lakewood offers dental implants to patients who've lost teeth due to injury or disease. Patients who live in Dallas , Texas and the Lakewood areas and surrounding communities, are encouraged to schedule an appointment to discuss their options. Dental implants are metal posts that are inserted into your jaw. As the bone naturally regrows around the implant, it becomes firmly embedded in the jaw bone, serving as a solid anchor for dental work. A single lost tooth can be replaced with a crown that’s secured by a dental implant. Your jawbone will be examined to be sure it’s sufficient enough to support an implant, then digital X-rays and impressions of your mouth are used as a template for the dental work. Once the post is implanted into your jaw, you’ll wait 3-6 months for the bone to heal and fuse to the titanium post. Next, your dentist will use a custom made abutment piece to connect the implant to the crown. 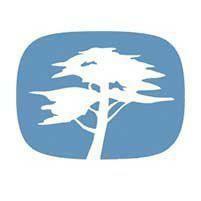 Customized abutments are a unique benefit offered at the Dental Center of Lakewood. Many dentists use pre-made abutments, but taking the extra step to customize the connection ensures that you have the strongest fit for aesthetically pleasing results. When dentures are secured by implants, you won’t need to worry about loose dentures. The process begins by getting a 3D scan of your mouth and impressions of your teeth, which are used to determine where your implants will be placed and to make your dentures. During your surgical appointment, implants and dentures are both put into place. 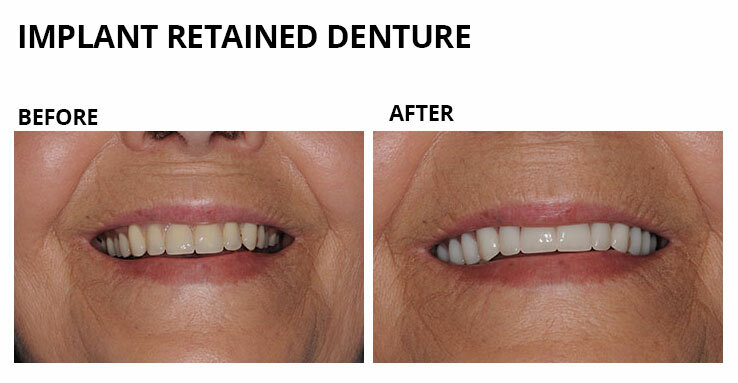 After the bone has had time to heal, the dentures will be refitted to make them secure. The entire process takes 6-8 months or longer to complete. Dental implants are often used to secure a dental bridge, which fills in the gap where you’ve lost teeth. When you get an implant-retained bridge, the implants are first put into place, then you’ll wait for the bone to heal before the bridge is secured to the implants using titanium implant posts. 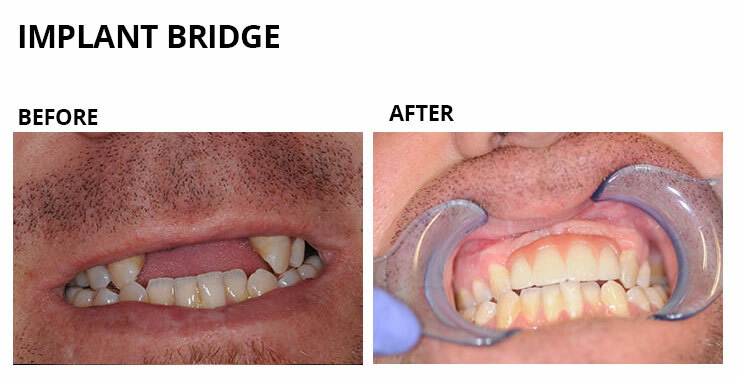 It takes about five months, but in the end you’ll have a sturdy and permanent bridge that replaces the gap with natural-looking teeth. 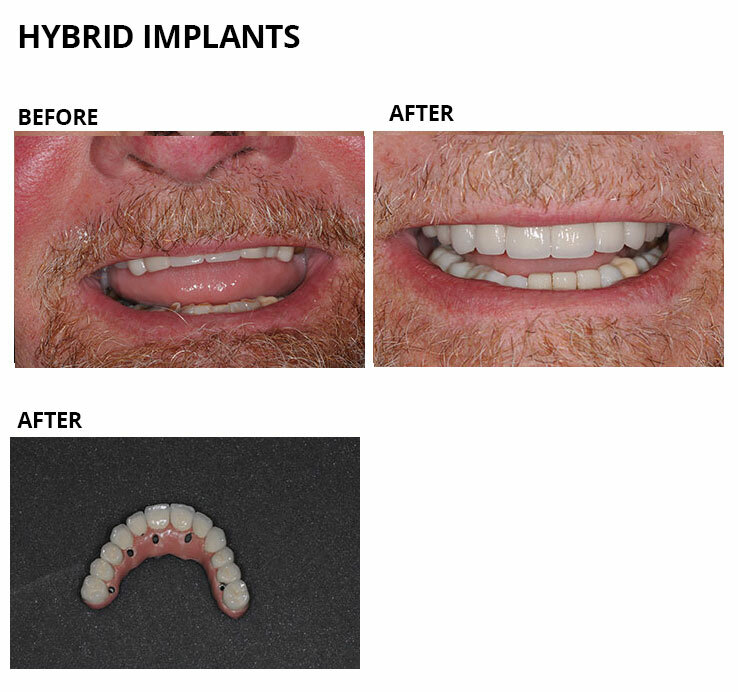 Hybrid implants, also called “smile in a day” or the “All-on-4®”, combine implants and a bridge to replace multiple teeth at once. Not everyone is a good candidate for this revolutionary procedure, but the dentists at the Dental Center of Lakewood are skilled in several implant techniques and will work with you to find the best treatment option. If you’re a good candidate for the procedure, impressions are made of your mouth, so that the hybrid bridge can be made prior to surgery. 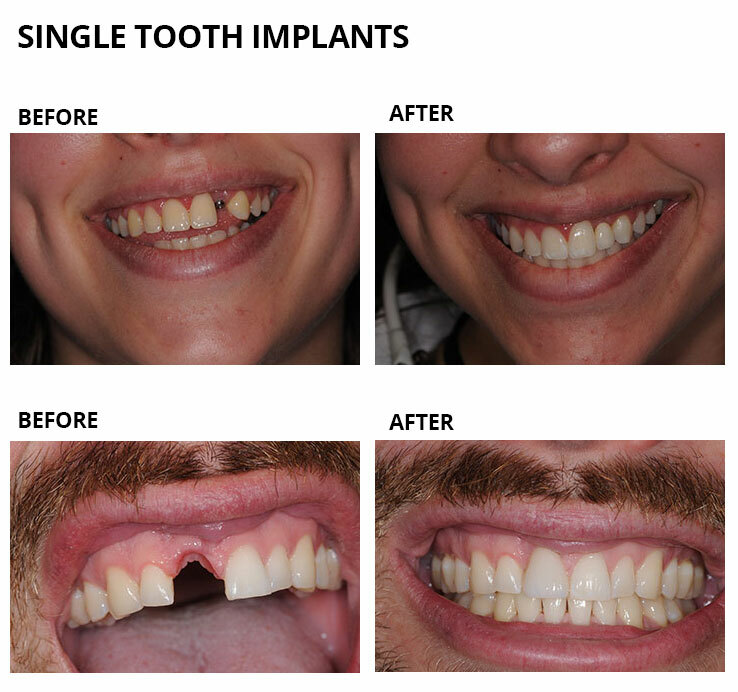 During surgery, teeth are extracted, implants are placed, then the hybrid bridge is attached.